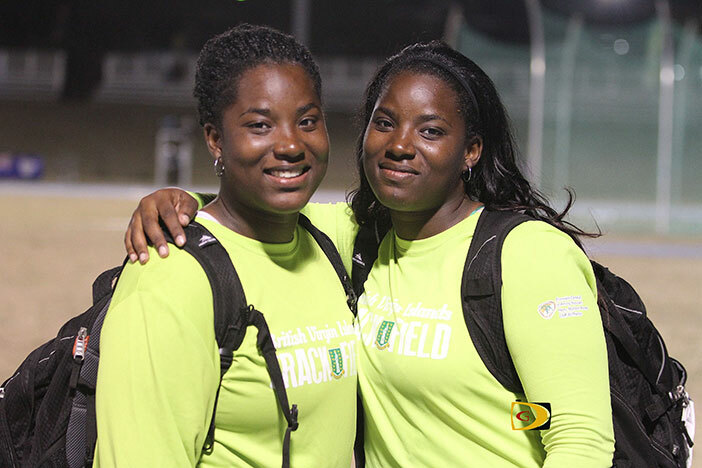 Twin sisters and Central Arizona College sophomores Tynelle and Trevia Gumbs, ended their Jr. College career by grabbing All America honors during the National Jr. Colleges Athletics Association Championships in Levelland, Tex., on Thursday. After Tynelle fouled out in the Hammer Throw where she was ranked No.2 in the event, Trevia used a personal best of 49.51m to place fourth and collected the first of her three All America honors, including the Discus Throw and Shot put. 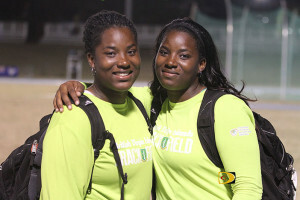 Tynelle bounced back from her hammer throw foul troubles and placed second in the Discus after a 46.98m effort as Trevia placed sixth with 43.47m and both secured All America. Tynelle placed fourth in the Javelin Throw with a 40.05m effort and Trevia had a season’s best of 14.50m in the Shot Put, good for sixth place. With their Jr. College career over and not sure they will be at the same school come September, which “would be nice but if we have to go different places that’s fine,” says Tynelle, they’re now turning their attention to regional competitions. The soon to be 20-year olds, will compete at the July 2-3 OECS Championships on home soil before heading to El Salvador for the July 15-17, NACAC U23 Championships. At the same competition held at her school, Taylor Hill helped South Plains College to a 4x100m Relay victory in 45.61 seconds, to earn All America honors, after recording non-advancing times of 12.03 and 25.10 seconds respectively, in the sprints. Elsewhere, Eldred Henry recorded season’s best of 19.33m in the Shot Put and 55.80m in the Discus Throw, at the Tucson Elite Invitational in Tucson, Arizona.